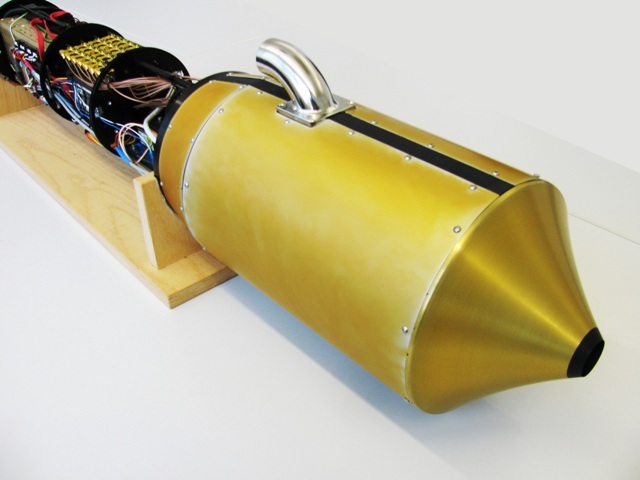 The IMK-AAF is developing and operating airborne instruments for in situ cloud particle microphysics measurements. 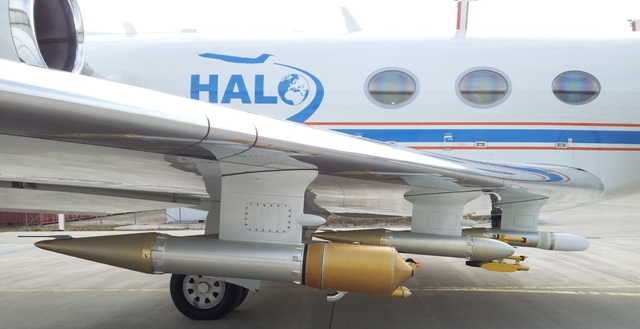 The Particle Habit Imaging and Polar Scattering (PHIPS) probe and the Small Ice Detector (SID-3) are part of the PMS instrument package on the new research aircraft HALO. 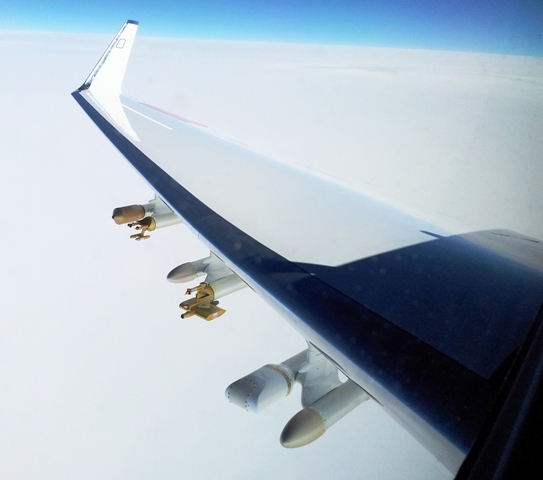 PHIPS-HALO is a novel airborne probe for the stereo-imaging of individual cloud particles and the simultaneous measurement of the polar scattering function of the same particle. PHIPS-HALO uses an automated particle event triggering system that ensures that only those particles are captured which are located in the field of view – depth of field volume of the microscope unit. Efforts were made to improve the resolution power of the microscope unit down to about 3 µm and to facilitate a 3D morphology impression of the ice crystals. This is realised by a stereo-imaging set up composed of two identical microscopes which image the same particle under an angular viewing distance of 30°. The scattering part of PHIPS enables the measurement of the polar light scattering function of cloud particles with an angular resolution of 1° for forward scattering directions (from 1° to 10°) and 8° for side and backscattering directions (from 18° to 170°). For each particle the light scattering pulse per channel is stored either as integrated intensity or as time resolved intensity function which opens a new category of data analysis concerning details of the particle movement. The probe was tested in the ice cloud characterization campaign HALO-02 which was conducted in December 2008 at the AIDA cloud chamber in the temperature range from -5°C to -70°C. In a series of experiments small externally generated seed ice crystals were grown in AIDA at distinct temperature and saturation ratio conditions. For these experiments the long known ice morphology diagram with the temperature dependent morphology changes and the supersaturation dependent structural complexity could clearly be reproduced by PHIPS-HALO. Structural details like hollow crystals, crystals with inclusions, and crystals with stepped surfaces (Hopper crystals) could be resolved by PHIPS-HALO. Moreover, the advantage of stereo-imaging in terms of habit classification and particle orientation deduction could be demonstrated. The scattering function measurement reveals ice particle orientation dependent specular reflection peaks which might contain information about the surface roughness. The Small Ice Detector Mk 3 (SID-3) instrument from the University of Hertfordshire captures the spatial light scattering pattern of individual aerosol and cloud particles in the 6 to 25° angular range for particle sizes down to ~ 1 µm (see [Kaye, et al., 2008] for a description). SID-3 uses an intensified charged-coupled device camera (ICCD) to get high-resolution (780 x 582 pixel) images of these scattering patterns. In this way SID-3 does not only give the azimuthal modulation of the scattering pattern (which carries information on the particle shape) but also the polar modulation which is sensitive to the particle size. Spatial light scattering patterns as measured by SID-3 for a hexagonal ice plate in a pure ice cloud (left) as well as for a droplet (middle) and an irregularly shaped ice particle (right) in a mixed-phase cloud. Light scattering patterns are transferred to the solid state disk of the instrument at rates of 30 s-1. For all other detected particles (up to 9000 s-1) the particles are counted and sized using the signal magnitude of the inner-zone particle trigger detector signal.